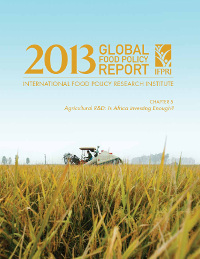 Home»Agricultural R&D: Is Africa Investing Enough? Agricultural R&D: Is Africa Investing Enough? Recent chapter prepared by ASTI that provides recent trends in investments and human resource capacity in African agricultural R&D. Given the goals of economic growth and poverty reduction, as well as the challenges of rapid population growth, climate change, and food price volatility, Africa south of the Sahara must invest in research and development (R&D) to boost agricultural productivity. This chapter provides a data-driven analysis of the region’s recent progress in investing in financial resources and human resource capacity related to agricultural R&D.